It was back to Phoenixville, PA last night for a spur of the moment dinner at one of the many fine BYOB’s that have sprung up throughout the gentrified town. Gerry B. and myself were disappointed that our friend, John G. would not be joining us but we were determined to make the best of it without him. 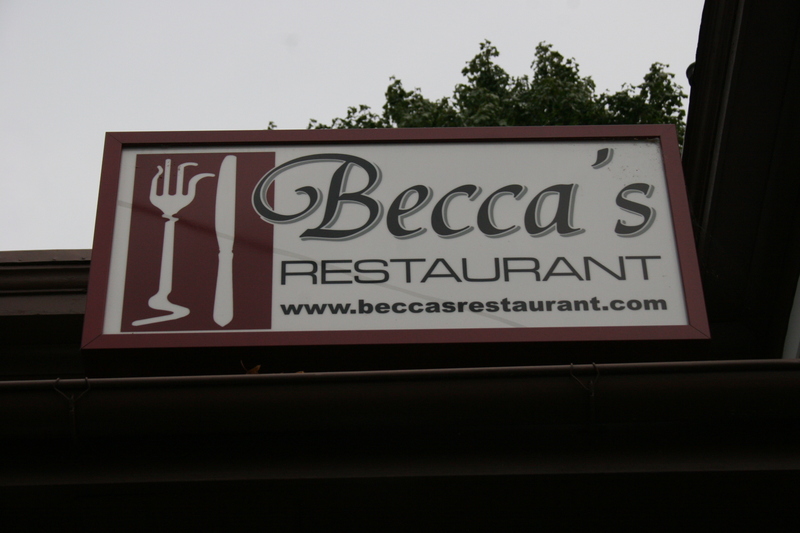 Becca’s occupies the site long-held by Twin Bays Restaurant, a local fixture for many years. Gerry, and his wife, JoAnn, have been here many times. He even claims to have his own “secret” parking spot in the lot outside and I must confess, he just may be onto something. 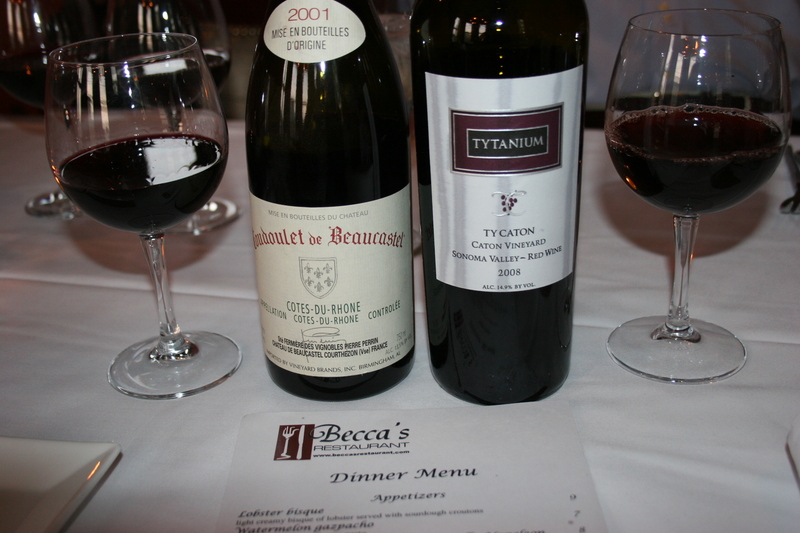 As usual, we had a couple of nice wines with us to compliment our meal. I brought the 2001 Coudoulet de Beaucastle, Cotes du Rhone. I had read a review on this wine from 2005 and it ended with the words, “good now, should be terrific in four or five years”. Well, that would be now and it was, terrific, I mean. It certainly needed some time in the glass as it appeared soft pink on the rim when first poured. Thirty minutes later a sweet nose of lilac and dirt intermingled with black cherry made each sniff a pleasure. This wine was creamy soft on the palate with nice fruit and tobacco and a super smooth lingering finish. Gerry’s contribution was equally appealing. 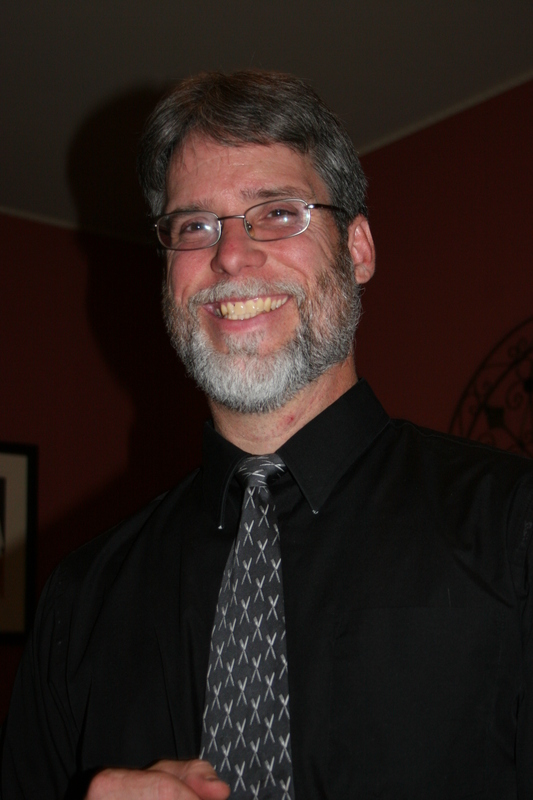 He brought the 2008 Ty Caton, Caton Vineyard “Tytanium”, Sonoma Valley, Red Wine. This one had a lot going for it; a powerful nose of ripe fruit. Checking in with almost 15% alcohol it still manages to maintain an elegance with hints of dark chocolate and herbs. A nice blend of Cabernet Sauvignon, Petit Syrah, Syrah and Malbec. It was a nice contrast to the French wine. Our server, Ray, has been here quite some time as Gerry remembered him from the Twin Bay days. Ray was very professional and made sure we were taken care of all-night without being intrusive. He sold Gerry on one of the evening “specials” and we will talk about that in just a bit. We both found appetizers that we thought we would enjoy and I went with the Lobster Bisque. 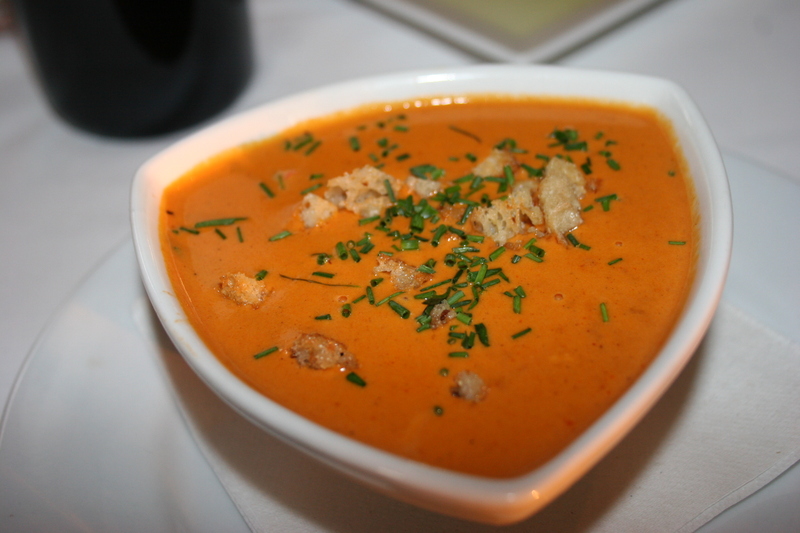 light, creamy bisque of lobster with sourdough croutons. The tiny croutons were a nice, crunchy touch. The soup was tasty with nice pieces of lobster. It was served at the proper temperature and provided a nice start to the meal especially with the warm raisin rolls dipped in olive oil. 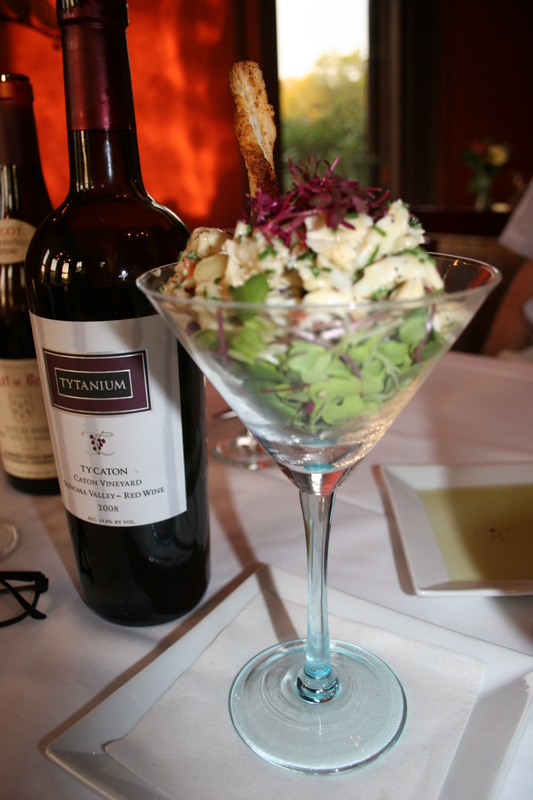 Gerry selected the Jumbo Lump Crabmeat “Martini”, tossed in a vodka infused green olive vinaigrette. This was another tasty starter that had nice pieces of crab meat in a tangy mix of greens. He gave me a taste of his and although it was good I was glad I chose the bisque. When it came time to select our entrees it was a difficult choice. The menu at Becca’s has lots of tempting fish dishes and Gerry couldn’t resist the steak that was the “special for the evening . 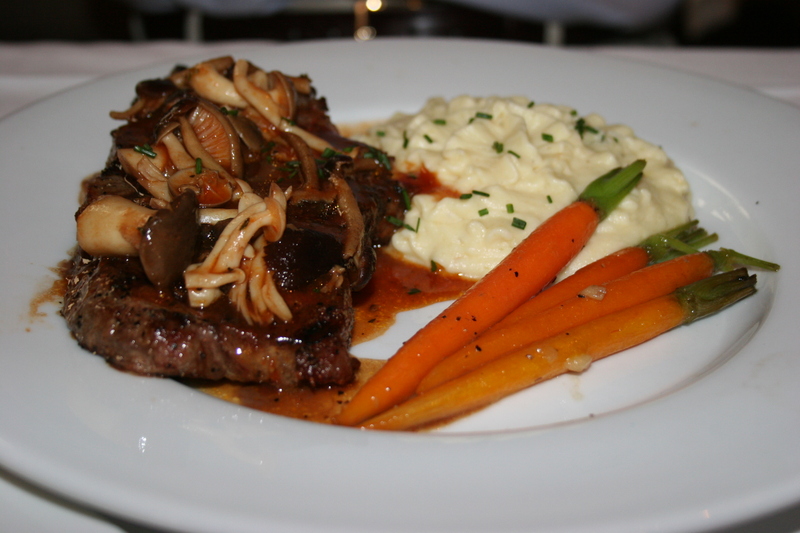 His steak came with Yukon Gold mashed potatoes and some nice baby carrots. It was smothered in mushrooms and onions and the sauce added to the flavor of this Grade A steak flown in that day from Oregon, I believe. The full-bodied Ty Caton Tytanium was a perfect wine for the hearty red meat. I was definitely in the mood for seafood and was torn between the Atlantic salmon, the Japanese sea bass, the diver scallops and the Halibut steak. 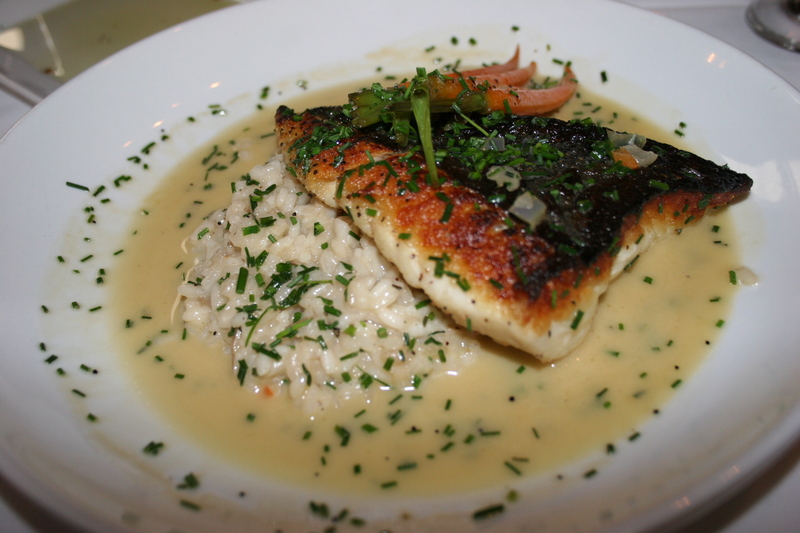 I finally settled on the halibut, with a summer truffle risotto and a chive nage. The halibut steak had a beautiful char, was cooked perfectly and the flaky white fish was only enhanced by the creamy truffle risotto which was excellent. The subtle creamy feel of the Beaucastle wine topped off the dish and made the meal a total pleasure. We took out time and discussed our upcoming trip to Napa and Sonoma which is now less than 10 days away. We skipped dessert and headed back to Gerry’s where John G. was waiting for us with some great cigars. Becca’s was quite busy for a Wednesday evening and with such good food and fine service, it’s no wonder the place does well even on weeknights.